When I get migraines, they are completely awful. I basically have to shut myself in a dark room with no light or sound and hope they go away relatively quickly. Migraines are awful and I don't wish them on anyone. I can have a migraine last anywhere from an hour to 5 hours. It's not fun at all, especially when you're at work or out. 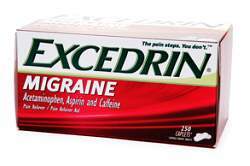 I make sure to always take Excedrin as it rapidly decreases the timeframe of my migraine. Some migraines that I get are better than others, but generally they are terrible. Excedrin is an over-the-counter headache pain reliever, typically in the form of tablets or caplets. It contains acetaminophen (paracetamol), aspirin, and caffeine. It is heavenly headache relief in the form of a small tablet. Excedrin is the first non-prescription medicine approved by the FDA to treat all the symptoms of a migraine. I rely on Excedrin for relief and it's the only medicine I will take for a migraine. Nearly 30 million Americans deal with migraines on a regular basis and they are three times more common in women than men. How do you deal with migraines? Have you suffered with them for years or do you get them every now on then? How do you find relief if you're at work or not at home? What are your quick-relief tips? Do certain scents or smells trigger migraines for you? Or maybe you try to activate trigger or pressure points to decrease the pain. I'd love to hear how you all deal with them. I find that taking Excedrin at the first inkling of a migraine helps it to go away quicker than waiting to take the medicine while it has already started. More than three-quarters (87%) of working Americans would give up something for an entire year to never have to go through the pain of a migraine ever again. Eight in ten (83%) migraine sufferers confess that when they have a migraine, their family suffers as much as they do because of the impact it has on their ability to go about their regular routine. There are many different ways to manage migraines. There is no simple solution and every treatment plan should be individualized. Perhaps the most important tool in tracking migraines is a migraine diary. It is used by doctors to track potential triggers and patterns related to your migraine. It helps you track food you eat when migraines occur, duration of migraines, type of pain, amount of sleep, etc. Aerobic exercise has been shown to make an appreciable difference in reducing migraines and promoting a general sense of well-being. Even if you walk only 15 to 20minutes. Drinking plenty of water will help you keep hydrated and can help prevent the frequency of migraine incidents. And, when migraine pain does set in, consider finding a quiet place to rest, applying a cool compress to the back of your neck. Talk with your doctor about an over-the-counter pain reliever like Excedrin® Migraine, which starts to relieve migraine pain in 30 minutes. For more tips and insights, please visit www.execedrin.com/migraine. Excedrin® Migraine and the National Headache Foundation teamed up to conduct a survey* that brings to light just how much people with migraines suffer – and how eager they are to lessen the pain and reduce the disruption in their lives. And what’s even more remarkable are the trade-offs people would make if they didn’t have to endure the pain of a migraine. Excedrin would like to relieve your headache with a fabulous gift basket! 1. I will be picking THREE (3) winners for this contest. Three winners will win a gift basket from Excedrin. Winner will be chosen on December 14, 2011 at 10 pm and then will be emailed. This is a sponsored post. 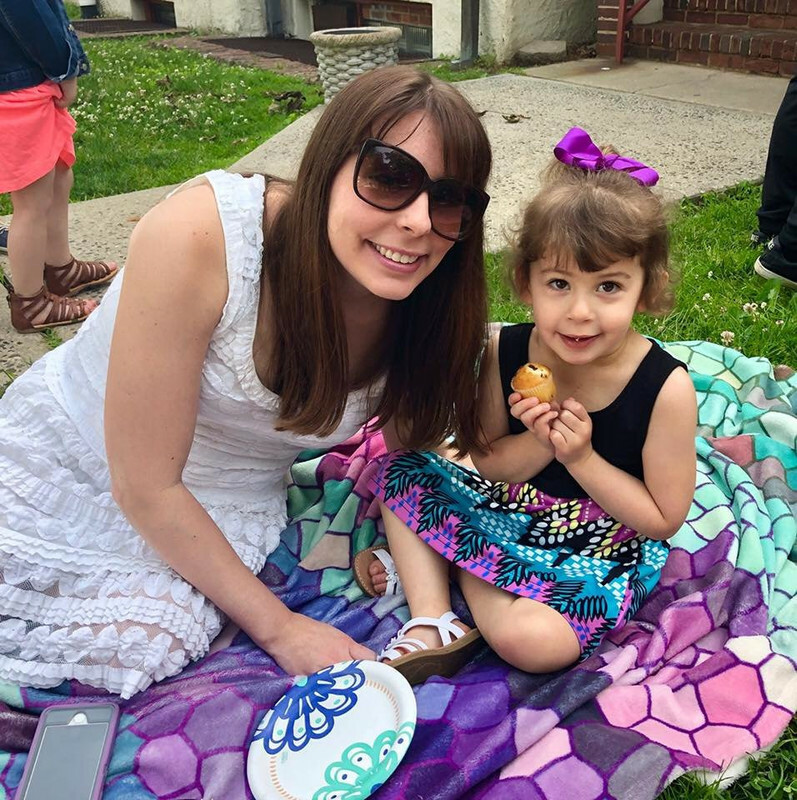 Migraine relief and relaxation kit were provided by Novartis Consumer Healthcare, the makers of Excedrin® Migraine; my journey for a migraine free experience is my own. I can usually feel a headache of any kind coming on. I try to either take a curse of action so that it will not hinder me too much. I usually try and get some sort of caffeine if it is not too late. Other wise I will take a magnesium supplement and lie down in a darkened room. I follow via Google Reader rss feed. I suffer from migraines for years. I find relief by taking aspirins, staying in a quiet, dark place with a cup of warm water/tea. I try to find relief from migraines by drinking warm milk and doing yoga. Sometimes it helps, mostly it doesn't though. I've been dealing with migraines since I was a little kid. I can remember nights that I would plead with my mom to call the pastor to pray for me because I KNEW I was going to die. I've learned what works for me. I take a hot shower first. Drink a few cups of coffee. If it lingers, I take Excedrin. 65% of the time the first dose works. If after two hours I still have a headache, I eat 3-6 pieces of a Hershey's bar and take another dose of Excedrin. A hot bath in the evening and Excedrin PM. Most of the time I can lie down without a headache that night. I'm a fan of Excedrin on facebook! I'm following Excedrin on twitter! I have to lay down for a while and turn off the lights and noise. I get occular migraines, I try to lay down and rest. There isn't much else I can do. I deal with migraines by staying in the dark and riding it out. Migraines are no fun, but I always ensure that they don't get out of hand. If you let something go and 'tough out the pain,' it almost always makes it worse instead of better. So for me, what I've found that helps the most is a moderate amount of caffeine. During the winter, coffee also warms you up really well - two birds in one stone! I'm following you on twitter - my user name is getbackzack. I'm following Excedrin on twitter - my user name is getbackzack. A dark, quiet room and some medicine is the only thing that helps ease my migraines. I relieve migraines by taking medicine a laying down to take a nap. I'm pretty lucky - my migraines are relatively mild. I had the symptoms of migraines before I realized that that is what they were, since the headache didn't always accompany the symptoms! I read that migraines are hereditary and my father used to get bad ones. I usually take one of the OTC remedies to help with them, when I realize that a migraine is on its way! And if I'm at home, I'll just go to bed and try to sleep it off! I usually take Ibuprofen, and take a nap. I usually get a few really bad ones a month, and laying down in a dark room is pretty much all I can do. i follow Excedrin on twitter - js22222222 . A quiet spot in total darkness is how I deal with migraines, luckily I do not get them very often. I lay down in a dark, quiet room and focus on breathing to try to relax. I take Topamax twice a day for migraines. For those nasty breakthrough migraines, I take ASA-free extra-strength excedrin because I can't take the excedrin migraine because of the ASA in it. I sit around the house with a ball cap and sunglasses on. So cute. I take an excedrin migraine and lay down in my bedroom, in the dark. I have prescription medications for my migraines. I don't suffer from migraines, but I deal with the occasional headache with aspirin and rest. I take my medicine drink some caffeine (helps speed it up) and relax in a dark room. I can't have caffeine, so I have to take ibuprofen and curl up in a dim room and hope that it goes away! I try to catch it early and go lay down in a dark room with a neck supporting pillow. I don't get headaches often, but if I take something at the first sign, it usually goes away fairly quickly. I turn the lights off, and lay in a quiet room. I also like to use ice on my neck and massage my neck and shoulder muscles! Thanks for the chance to win! I always take Excedrin! I try to stay in bed or keep the lights down low. I use Excedrin and a hot water bottle. I usually go lay down in a dark room after taking medicine for my headache. I take some meditation and lie down in the dark if possible. Email in profile. Thank you God I don't get migraines. But with regular headaches, I take pain meds and try to lay down & rest...plus I increase my water intake. Usually works. I find if I can go into a dark quiet place it helps. I get them a lot. I have to lay in a dark quiet room and not move. sometimes for 2 days. I deal with migraines by actually taking exedrin.